Remember yesterday when I helped you learn how to spell Connecticut? Today, a man in that state went to a school like yours and killed a lot of kids like you. He shot them in their kindergarten class. I know you want to know why. It’s what everybody is asking. The parents of those children are walking up and down the street right now screaming that very question. Why would anybody hurt anybody? Why would anybody want to hurt children? There is no good answer. We have taught you for a long time that there is no reason to hurt someone unless he is trying to hurt you. I do my best to give you as many answers as I can, but I don’t have any answer for why. My only answer is, Son, there is no answer for why. There are a lot of people in this world who are bad. Evil is another word for some of them. There are also people who are sick. Their brains don’t work like everyone else’s. They need help. Sometimes they can’t get it. They can’t understand how terrible it is to hurt other people. Sometimes, Son, evil people have guns. Sometimes sick people have guns. Guns themselves are not evil tools. Police and soldiers need them to protect our countries. Some people use guns to protect their homes and property. Some people use guns for hunting. A lot of times, guns are used for good reasons. And sometimes, they are used by evil or sick men to kill people as efficiently as possible. A lot of people in our country—enough to make it matter—believe that our nation’s laws are enough to keep guns out of the hands of evil and sick men. A lot of people believe we as a society can’t be held responsible where those laws fail. There are many people who believe that we take care of sick people as well as we can. They believe that we find and treat sick people as well as a society can based on the money we have to do it. Buddy, today I am just sad. I’m scared. I wanted so badly to run to school today and bring you home with me. In fact, I’m writing this while I wait for you to get home with your mom, and I hope you ask me none of these questions, because I don’t trust myself to be rational and objective right now. People I respect believe all of this is just something I have to accept if I want to be part of a safe society. People I respect believe that when this happens that it happens for unique reasons and that any common threads I find are a matter of my politics. But what I feel right now isn’t about politics. It’s anger. It’s something called empathy. It’s actual physical pain for parents who won’t be putting their kids to bed tonight. I’m so sad, Son, and I have to find a way to wipe away these tears before you get home, because if I don’t, we’re going to have to have this talk sooner than I feel capable of having it. Could it happen to you? Son, I’m terrified to say it could. Statistically, you are probably safe, and I’m supposed to take some comfort in that, because losing you in a horror like this is as likely as winning the lottery. It’s not likely to happen. But I can’t feel right about taking comfort, because you are not the only child I love. You and your brother are my favorite, and you are the reason I wake up in the morning, but I also love your cousins. I love Mr. John’s kids. And I love Mr. Gordon’s kids. I love so many of our friends’ kids, and they all go to different schools. More than anything, buddy, I can’t take any comfort in the fact that it’s not me who has to bury his kids next week.I just can’t. I love you, Son, and I’m sorry I can’t explain it any better. It is a horror beyond our understanding. Your son remains lucky though. 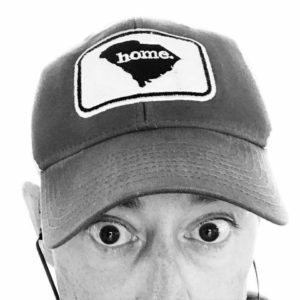 He isn’t going to a Carolina cotton mill at the end of this term to start his work career. Sickness transcends time and place. Right now he sitting in one of life’s sweet spots surround by love. That won’t change ever. You and your wife will handle all this well because you’re damn fine parents. There is another sickness coming from this tragedy. Our news radio station has embarked on the frenzy and is currently interviewing a shrink on what those parents are feeling. Really! There was similar just minutes before with a grief consular pushing buttons. That isn’t news in my book. If it is then why aren’t those interviews constant about Afghan or Syrian children’s lives as egregiously taken. There is plenty to grieve about beside what has just occurred and there are things still around we can celebrate. Some days are harder than others, true. Someday, maybe, we’ll know what to do to prevent this kind of horror. It’s a goal worth putting resources and energy into investigating. Feeling your pain Brad and finding comfort in your words. There is something very powerful about writing. It encourages self reflection. It helps you get your thoughts straight. It provides an outlet for ones emotions. 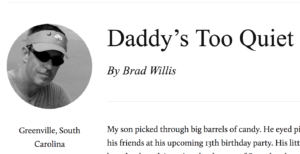 Like you, fatherhood brings an additional poignancy to news like today’s and despite the thousands of miles between us not to mention the political divide, such tragedy is making grown men weep the world over. Naturally the media want to find the answer to the question why and far too many people are already trying to gain political capital from this unspeakable tragedy. As an ex police office of 15 years standing in London, I personally feel safer living in a country that does not have the same gun culture as the US, however, I dealt with the aftermath of too many shootings to understand that gun control has little to do with keeping guns out of the hands of anyone determined to get hold of one. 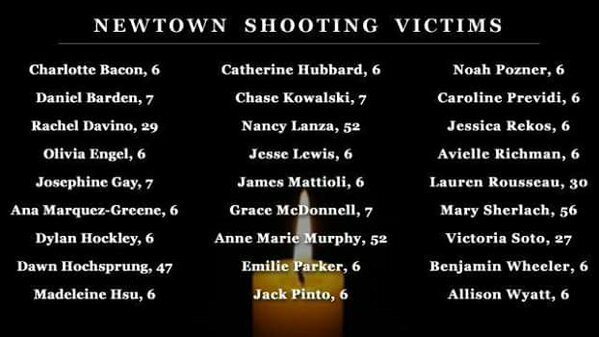 I wish the anti-gun brigade would keep quiet right now and focus on the only important thing here at the moment – that is supporting and praying for the families of those poor children who lost their lives today. Thanks for a very moving essay on a day that has brought many of us to tears. I hope I can say what I feel needs to be said without making it a political issue. It certainly shouldn’t be. It is a simple common sense issue. What common sense should tell us, regardless of politics, is that you mention two categories of people. (A) Police and Soldiers and (B) Hunters and people protecting their homes and families. It should also tell us that Category A people need rapid fire assault weapons (short or long), and Category B people don’t. There are a few category C people who believe that they need assault weapons to fight our armed forces when our government goes nuts and orders the army to come after us. I’m not sure where common sense fits in here, but even if what they believe had any chance of happening, having an assault weapon isn’t going to do them any good. We need to do more than make possessing an assault weapon without a difficult to obtain permit a serious felony. We need to institute a buy-back program to get the ones already on the streets and stashed in closets out of circulation. We need to make the production of such weapons a non-profit activity, and crack down hard on any manufacturer or importer who makes them available illegally. Will that eliminate tragedies like the one we saw today? No. But if it were to prevent just one deranged fountain of evil from having the capability of inflicting mass casualties when he goes over the edge, it would be well worth losing our “freedom” to own something we don’t need. FWIW, I believe every competent adult should own a rifle and/or shotgun. They should be trained to use it, maintain it and store it safely. I’m not a member of the anti-gun brigade. Recruits wanted for the common sense brigade. i can’t imagine all the sadness you are going through right now. all my condolences to you.